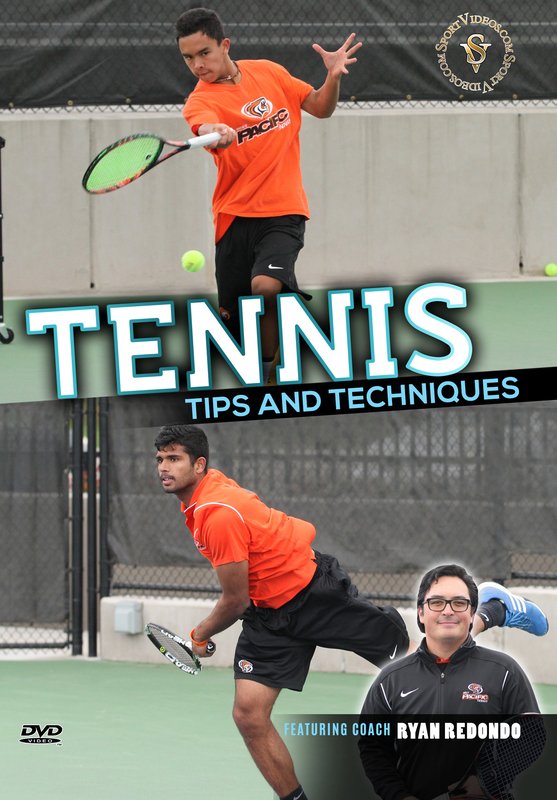 Take your tennis game to the next level with the help of Coach Ryan Redondo. The coach teaches numerous tips and techniques that will help you to develop a consistent and reliable game. Among the topics covered are: Set Position and Timing, The Forehand Technique, The Backhand Technique, Setting Up a Line Shot, The Volley, The Overhead Shot, The Serve and The Return of Serve. This comprehensive DVD is an excellent training resource for any serious tennis player or coach. Running Time - 77 Minutes. 2017. About the coach: Ryan Redondo is the Director of Tennis and Men's Tennis Head Coach at the University of Pacific in Stockton, California. He was named West Coast Conference Coach of the Year 2012-13 and 2015-16. Redondo is also a United States Tennis Association (USTA) Northern California Junior Team Coach, working with younger players since 2010. Prior to coming to Pacific, Ryan spent three years as an assistant coach at San Diego State. He also played two years on the USTA, ITF and ATP professional tours. Ryan Redondo was a two time All-American player at San Diego State University.